This newly revised manual is for farm owners and workers transporting agricultural equipment on public roads. In addition to driving tips, advice on increased visibility and common dangerous situations including power lines, the manual outlines requirements specified in the Traffic Safety Act. 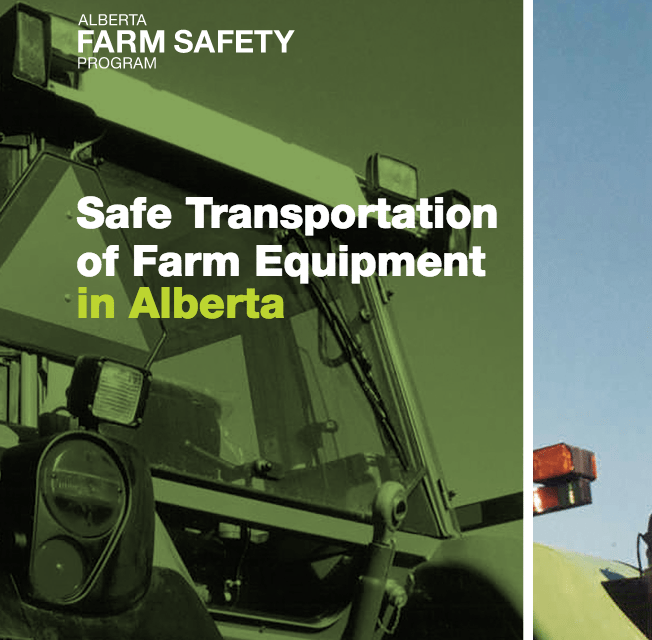 Safe Transportation of Farm Equipment in Alberta is a joint project between Alberta Agriculture and Forestry (Farm Safety Program), and Alberta Transportation (Vehicle Safety Section). To get a hard copy of Safe Transportation of Farm Equipment in Alberta, you can order a manual from AF. You can also download an electronic version in PDF format.